Gabriela Silva is a recent transfer from Brazil. She is a junior and a reporter for the Features section. Gabriela has a passion for journalism, and her dream is to go to college, major in journalism and have a career writing for fashion media. 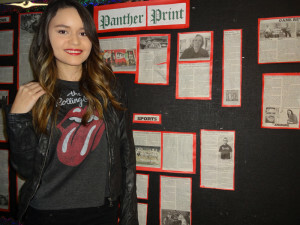 She seeks to become a strong contributor to Panther Print in her role as a member of the Features staff. In Gabriela’s free time, she reads a lot, works on her own fashion blog and eats chocolate crunch.